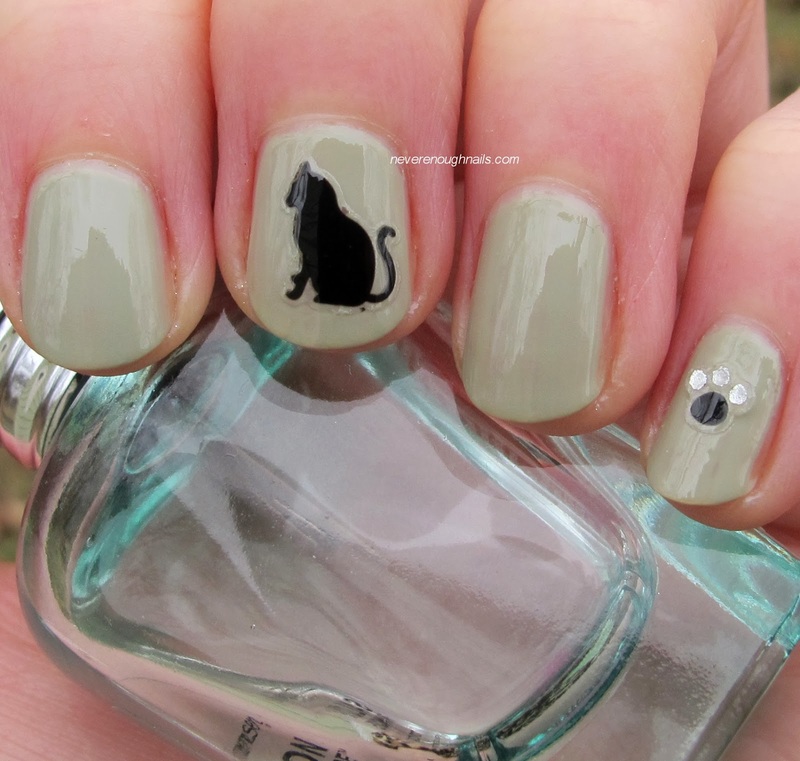 Never Enough Nails: ADORABLE- Born Pretty Store Black Cat Stickers! After all the red and green glittery Christmas manis, I was in the mood for a palette cleanser type mani, so I dragged out the old favorite OPI Stranger Tides. 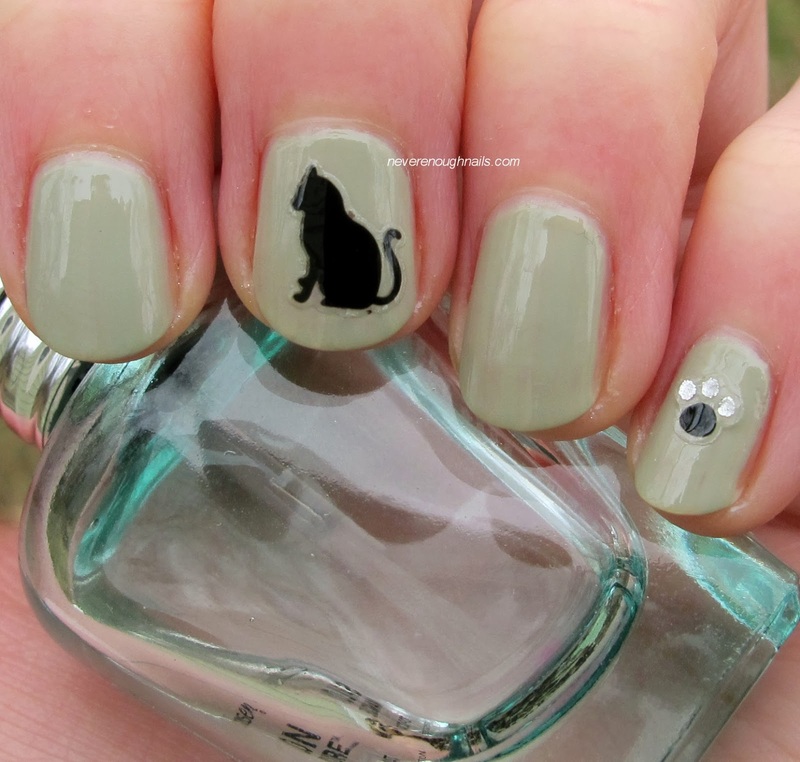 Never one to leave well enough alone, I then spotted the black cat nail art stickers I recently received from Born Pretty Store!! Obviously, I could not resist these stickers, and why would I bother trying since a sheet of these is only $1.99?! 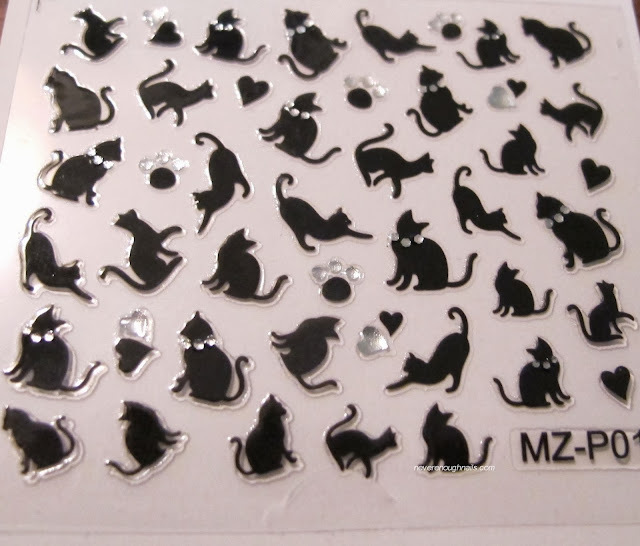 Some of these stickers have crystals, either on a "collar" on the kitty or as part of a paw (like my pinky nail) or heart. My favorites are the sitting kitty that I have here, and the one that looks like he's prancing around. Binx prances around a lot, so it really looks quite a lot like him! These were total cake to apply- just peel the sticker off of the sheet, stick on your nail, and seal them in with a layer of top coat. They laid nice and flat, no edges sticking up anywhere, and they stayed on perfectly for the length of this mani (2 days I believe). I'm going to order some more sheets of these, they are way too cute! You can get these stickers right now for only $1.59 (til January 3). Everything on the whole Born Pretty Store site is 20%! 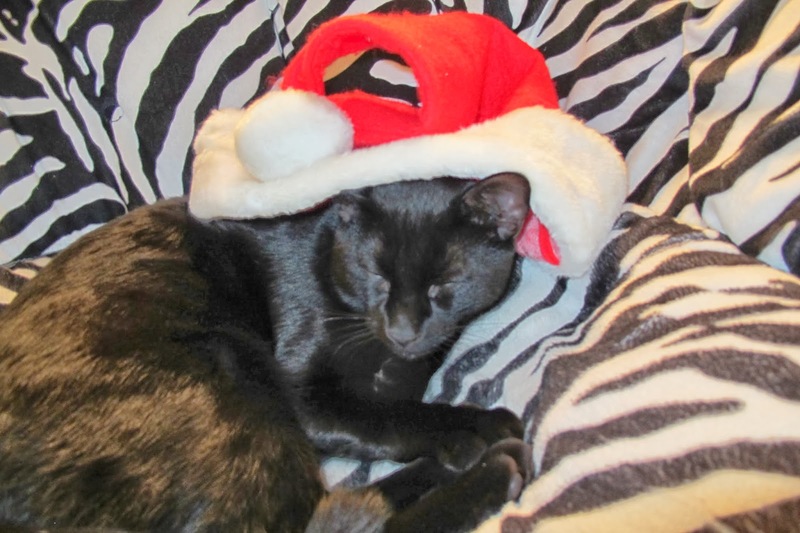 I tried to get a picture of Binx in a Santa hat, but the Santa hat is too big. Also, the only time this will ever happen is when he is asleep, but I feel like it would be cuter if he were awake LOL. 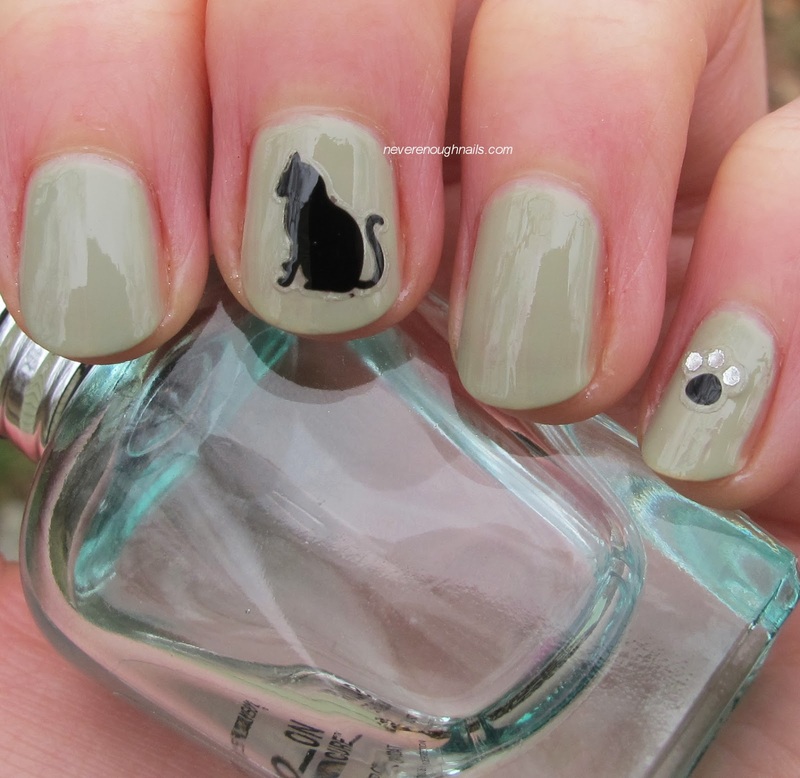 I adore nail stickers, these look cute! PS: Sometimes bloggers don't realize that they have captcha on their comments - so you know, you do! It's pretty annoying and honestly I generally won't even bother trying to comment when it pops up. If you're having an issue with spam or bots try Disqus - it's easy to use and works great! I love nail stickers too Rochelle- easy and fun! And thanks, I did not realize I had captcha on and I hate it too. I will go work on that!